Teaching kids about good manners is tough, especially young kids who have very little interest in learning what they should and should not do. 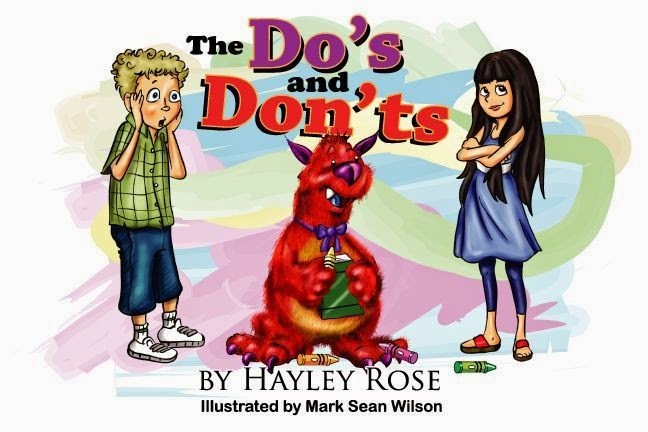 But The Do's and Don'ts by Hayley Rose is an adorable book of lessons on how to practice good manners that will surely capture their attention. The colorful, fun illustrations by Mark Sean Wilson make a dull topic much more engaging. And the choice of lessons is great, speaking from the perspective of a mother! The book covers everything from saying "Thank you" and "Excuse Me" to lessons on hygiene, sportsmanship and letting people get off the elevator before boarding. Rose even addresses some important safety lessons. The Do's and Don'ts is a great book to share with young kids ~ and perhaps older kids as well since most could use a reminder of some of these rules! This review was written based on a copy of The Do's and Don'ts that I received from Pump Up Your Book in exchange for an honest review.